Godolphin hopes rest with Fine Needle in the G1 Sprint and Inns Of Court in the G1 Mile at Hong Kong’s glittering international meeting at Sha Tin on Sunday. Both face strong local opposition but can be placed. It is hard to believe the progress that Hong Kong has made since the introduction of professional racing in 1971. Billions have been invested in an industry that is clearly thriving, and above all, this raceday showcases the best equine talent it has attracted. Fine Needle is heading towards claiming the title of Japan’s best sprinter, but that is no guarantee he can master the impressive local star Hot King Prawn. Both have drawn very wide but they may help each other in getting across to the inside rail. In the Mile, Inns Of Court must contend with Beauty Generation, Hong Kong’s reigning Horse of the Year, who is currently at the peak of his powers. Inns Of Court took the eye in a piece of work at Sha Tin on Thursday, which raised the hopes of those associated with the Andre Fabre-trained contender. Lisa-Jane Graffard, representing Fabre in Hong Kong, said: “It is a very hard race, and if he could be placed it would be fantastic. Obviously, we would love him to win, but looking at the opposition, we have to be realistic. 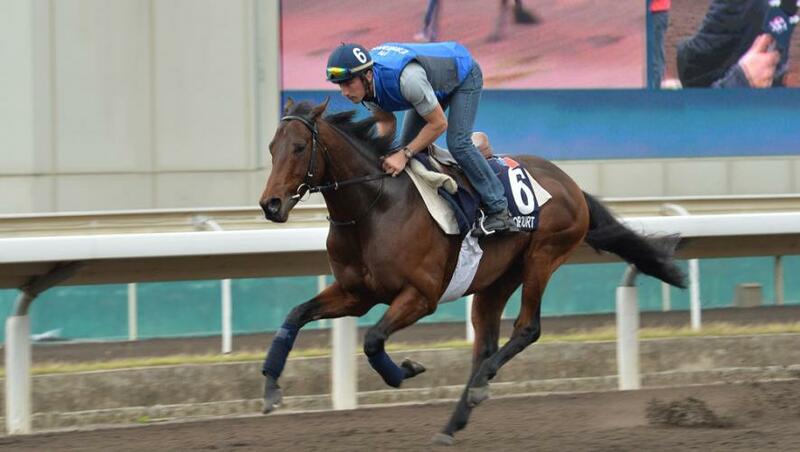 “This Hong Kong race has been thought about all year for Inns Of Court. Plans for horses evolve over the year, and if he had run well in the Prix Maurice de Gheest (over six and a half furlongs, at Deauville), he would have dropped back to shorter trips. “But he was off-colour that day, and we couldn’t draw any conclusions. He went back to seven furlongs, and now a mile, and he’s got very good form over those distances,” she added. Inns Of Court will ridden by Mickael Barzalona.